One License Plate or Two: Does Your Car Need a Front License Plate In Texas? 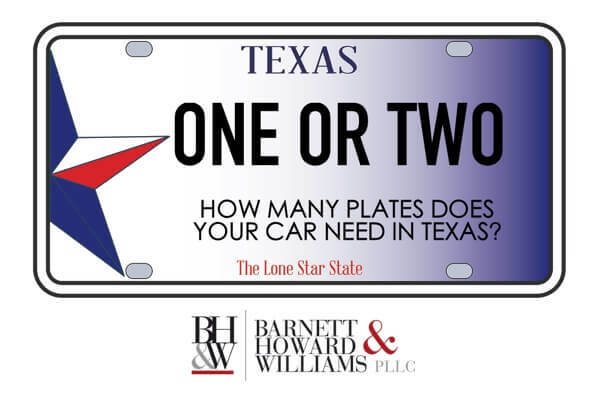 How many license plates does your vehicle need in order to comply with Texas law? Do you need one or is there a two plate rule? Should you drill holes into the front bumper of your car to install a front license plate, or will you be alright with a rear plate only? 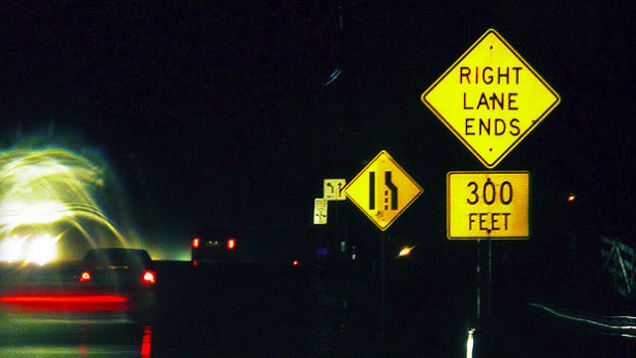 If you are reading this article, perhaps you have exhaustively Google-searched license plate laws out of frustration. Find out what the Texas Transportation code says about license plates and what the implications are for you, the Texas motorist. Do I need a Front License Plate in Texas? Yes. Texas law requires that every vehicle maintain a license plate in the front and rear of the vehicle. The current fine for failing to display a front license plate in Texas is $200.00. Since 1934, Texas law has required that Texas motorists display a front and a rear license plate. 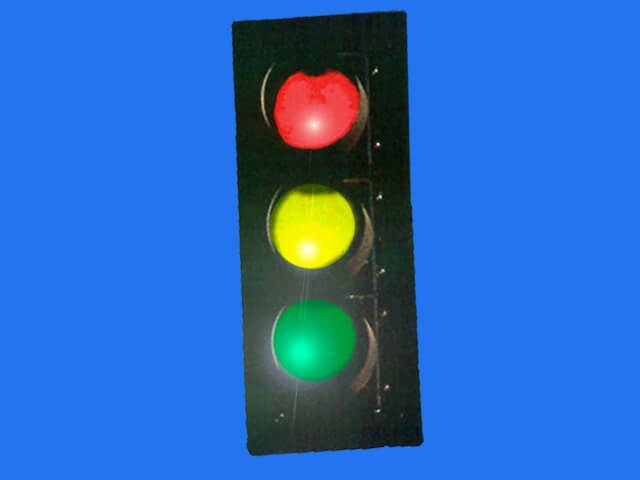 In 2011, House Bill 2357 modified the statutory language making driving a vehicle without displaying a front and a rear license place both illegal and punishable by a fine. 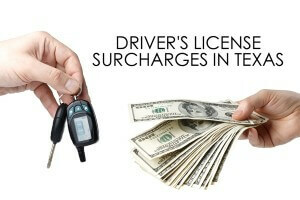 In January of 2012, Texas lawmakers revised the transportation code, once again, to include several new provisions. 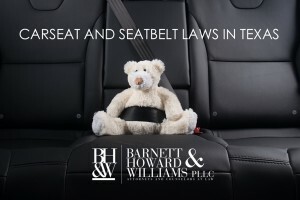 However, in the process of making revisions, the provision mandating a penalty for vehicles not in compliance with the “two plate rule” was accidentally stricken from the Texas Transportation Code. From January 2012 to September of 2013, law enforcement could not lawfully issue citations for failure to display a front license plate. Unfortunately, this brief period of time also created a lot of confusion around the “two plate rule” that reverberates to the present day. 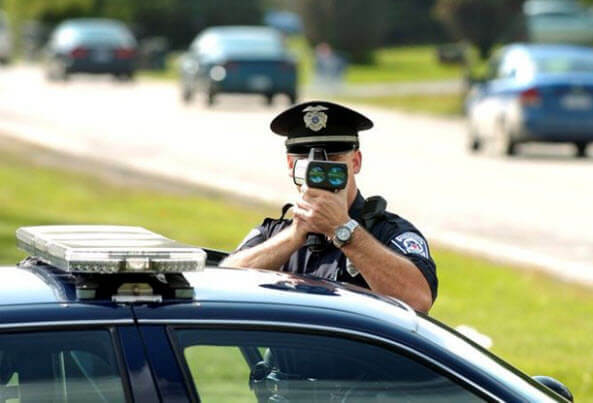 The two plate rule was originally created for the purpose of making identification of vehicles and their owners more efficient for automatic plate readers and law enforcement agencies. 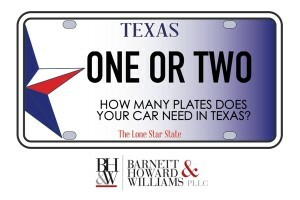 In 2012, the Texas A&M Transportation Institute (“TTI”) issued a report, citing overall effectiveness of the two plate rule, unlike states that only required one rear license plate on a vehicle. TTI found that front license plates were (1) easier to read in the daylight; (2) helpful in toll billing; (3) aided law enforcement in tracking down violators of the transportation code by way of automatic plate readers; and (4) allowed Homeland Security and U.S. Customs and Border Protection to process and screen vehicles more effectively and quickly. Thus, the front license plate requirement in Texas. 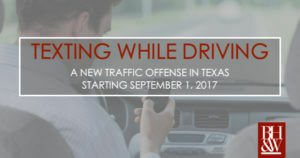 Aware of the inadvertent loophole created by omission of the penalty provision, lawmakers amended the transportation code in September of 2013 to mandate punishment for Texas motorists who do not display both the front and the rear license plates. Motorists who do not have a front license plate risk incurring a Class C misdemeanor charge, punishable by fine not to exceed $500. Currently, the penalty for operating a vehicle without a front license plate is $200.00 – subject to change with subsequent legislation. However, there may be more to this than meets the eye. Generally speaking, when a vehicle is out of compliance with mandatory safety and administrative regulations (such as only having a rear license plate), by statute, Texas law enforcement has “probable cause” to conduct a traffic stop. 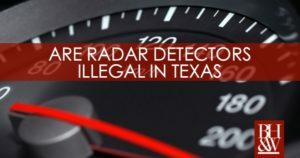 At minimum, such a traffic stop could include pulling the vehicle over, running a check of the license plate, researching the driver’s license and registration of the motorist, and issuing a citation for violating the two plate rule. 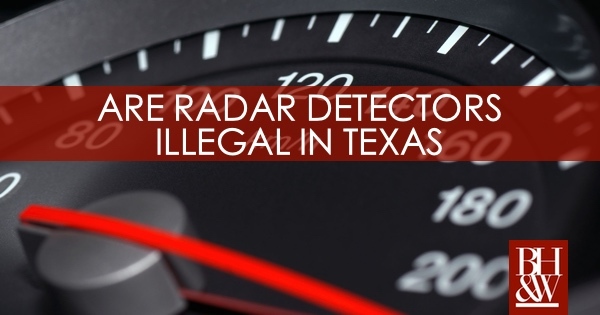 In sum, a Texas motorist who drives without both plates risks being pulled over for a lawful traffic stop and fined at least $200.00 for a misdemeanor traffic offense. 1) It is unlikely that you can just “talk to a prosecutor” and get your ticket dismissed. Two to three times a week, most courts hold conferences between the prosecutor and citizens who have violated traffic offenses. During these conferences, most people go to the prosecutor immediately to ask for a dismissal on their citation. I would venture to say that in a metropolitan area, a municipal prosecutor gets asked for a dismissal between 25-50 times per week. Starting your conversation off with a prosecutor by asking for a dismissal is the least effective approach for negotiating a favorable result. The concept of a dismissal is WIDELY misunderstood and the bottom line is that dismissals are rare. 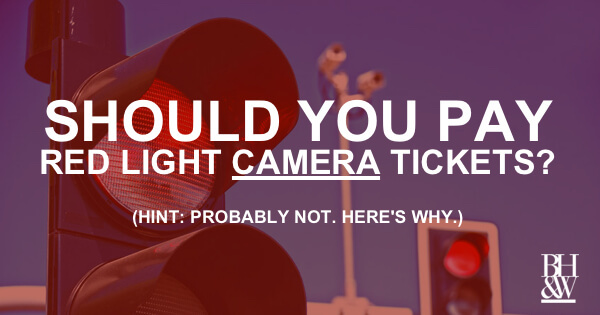 2) Instead of demanding your dismissal, start by pointing out legitimate issues with your ticket. There are legitimate issues with citations. Those issues can result in dismissals. But for every one legitimate issue, there are one-hundred ridiculous excuses. A municipal prosecutor has heard them all and there is a really good chance that the prosecutor has heard your specific excuse many, many times. Most of the time, people come go to court with an assumption about the law and they hang on to it with everything they are worth. Do some research before coming to court to determine whether you have a “legitimate issue” or just “another excuse”. Whether that means consulting with an attorney or jumping onto Google, come to court with a little research and you may actually put the prosecutor in a better mood. If you have documentation (especially on vehicle equipment issues, inspections, registrations, licenses, and insurance), bring it to court and have it ORGANIZED and ready for the prosecutor to look at. If there is some legitimate discrepancy between the status of your vehicle or license (on the date of the citation) and the citation you received you might actually get that all-elusive dismissal, but you had better have documentation to support your defense. It’s got a nice ring to it, but the reality of a trial is that most cases will come down to the officer’s testimony versus the defendant’s testimony. More than likely, the officer will testify that he’s been an officer for multiple years, been through training and education specifically for observing and enforcing traffic violations. 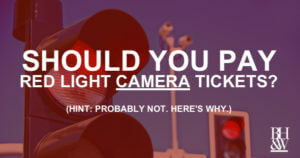 He’ll also testify that he spends 90% of his 8-10 hour shift in and amongst traffic observing traffic and that he was focused solely on looking for your vehicle violating a traffic law. Meanwhile, you’ll testify (if you choose to testify) that you’re number one priority was not following the traffic laws (I dare you to say that it was), but that you were on the way to work, dropping kids off at school, going to the grocery store or had some other objective in mind. 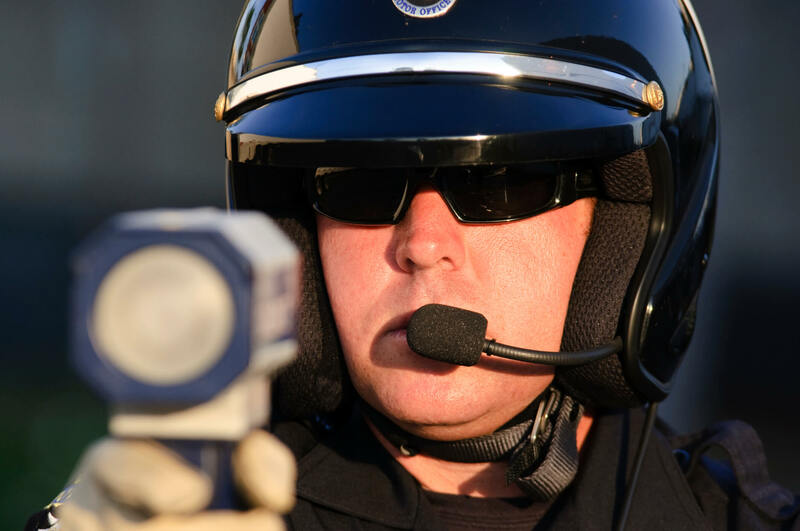 The bottom line with trial: The officer will testify that he observed you commit a traffic violation and you’ll testify you didn’t and the judge or jury will decide who they believe. ..hire an attorney. He or she will analyze your citation based on current law and the rules of evidence and procedure and not just based on what you heard from your neighbor’s friend’s ex boyfriend. Ultimately, you may decide that hiring an attorney would cost more than it is worth, but it you really want a fighting chance, you should hire an attorney.